Raikkonen wins for the first time since Australia in 2013, the longest span between race victories in F1 history. Ferrari and Kimi Raikkonen commandeered Sunday's United States Grand Prix and stole victory from championship leader Lewis Hamilton, resulting in the most thrilling race of the 2018 Formula 1 season thus far. The Finn held steadfast to the end of the 56-lap event despite multiple attempts from Mercedes to trump him, giving him his first win since Australia 2013 and forcing Hamilton to run once again in hopes of claiming his fifth World Drivers' Championship. Raikkonen started on the front row alongside polesitter Hamilton and quickly lept to the front in Turn 1 going up Circuit of the Americas' steep front stretch. 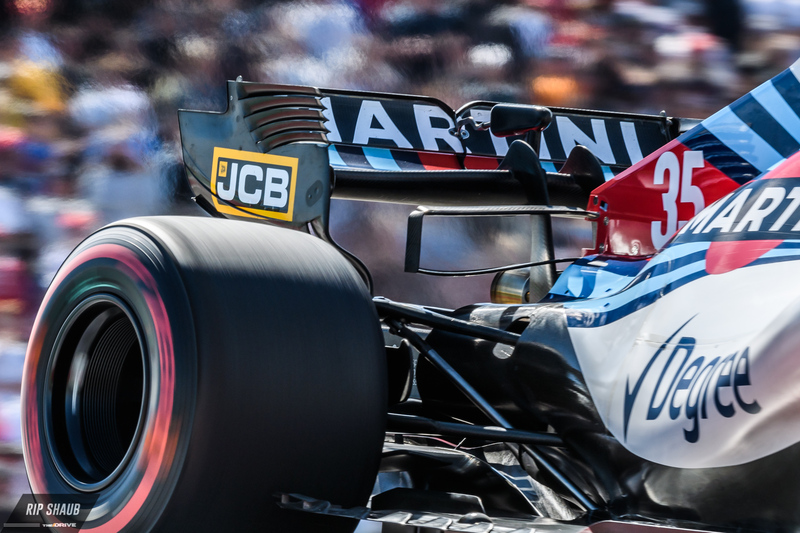 Lap 1 drama resulted in the retirement of several drivers including Williams' Lance Stroll, McLaren's Fernando Alonso, Haas' Romain Grosjean, and Sauber pilot Charles Leclerc. The initial shock of this incident carried over as a yellow flag was waved in Sector 1, the camera panning ahead on track to Ferrari's Sebastian Vettel and Red Bull's Daniel Ricciardo. The two aces were dueling as Vettel pushed far into the corner, a bit too far though as he collided with Ricciardo and spun 180 degrees while forfeiting valuable track position. It was then that many believed Vettel's championship hopes to be over with Hamilton running in P2 at the time. A full-course yellow flag was shown at this time and the race ran under caution until Lap 3. Red Bull's Max Verstappen quickly became the biggest mover of the day, leaping to P7 from 18th-place on the starting grid. Meanwhile, the mishap with Vettel and Ricciardo was deemed a racing incident and no penalties were dealt as a result. Jumping ahead to Lap 9, Ricciardo's No. 3 RB14 was shown on the side of the track, retiring due to yet another mechanical failure with his Renault engine. At the time, he was running a full six seconds clear of his teammate Verstappen, forfeiting yet another prime opportunity to win because of power unit problems. A virtual safety car was deployed as the result of Ricciardo's DNF and Hamilton was instructed by Mercedes team officials to pit opposite of the leader Raikkonen. Lewis boxed on Lap 11, undercutting Kimi and opting for soft tires in hopes of making the race a one-stopper, albeit a gamble. The green flag waved on Lap 12 and Mercedes radioed to Hamilton's teammate Valtteri Bottas, requesting that he not hold Lewis up on his pursuit of the race lead. At this time, it looked as if Ferrari had faltered by choosing not to pit Raikkonen, seemingly surrendering the team's best chance at a USGP win since Michael Schumacher's 2006 victory. Hamilton pushed his AMG on Lap 20 while attempting an overtake on Raikkonen but to no avail. 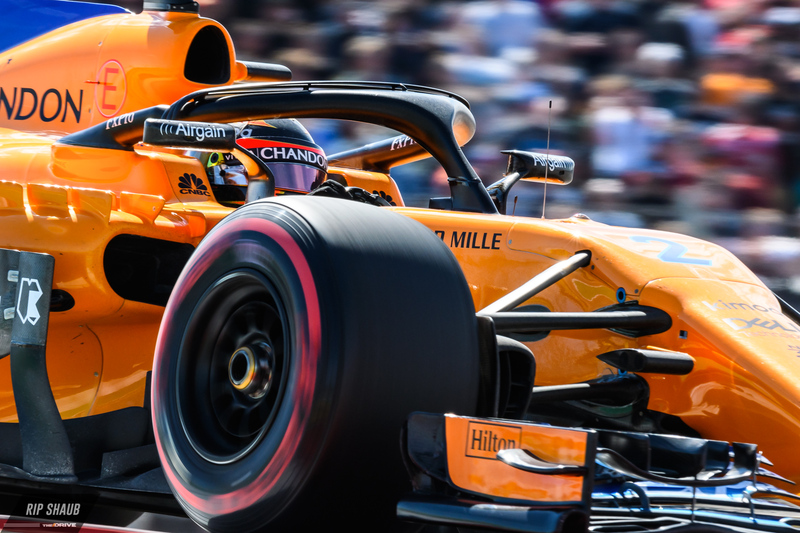 The Briton was lapping COTA nine-tenths of a second faster than his rival, setting the fastest times of the race consistently near the halfway point. Raikkonen finally pitted on Lap 22 and soft tires were fitted to his machine, relinquishing his hard-fought lead in the process. Further back in the field, Verstappen was brought in and had supersoft compound tires put on, raising the eyebrows of many in the commentary box as well as the pit wall. The supersofts' ability to last until the end of the GP was questionable, but Red Bull was confident in its decision. By doing so, they beat Bottas to the punch and although he pitted just a few laps later, he was released behind Verstappen and would never catch up. Vettel was in the mix, having to fight back from the bottom half of the field due to his scrap with Ricciardo early on. The running order remained fairly constant with Raikkonen leading and Verstappen overtaking Hamilton for second in the latter half of the race. As it were, Hamilton would have to reclaim P2 from Verstappen to clinch the Drivers' Title in Austin while Vettel was still charging. The most dramatic action of the afternoon came in the final three laps, starting on trip number 54 'round the Texas circuit. A back-and-forth fight full of pantomime and panache saw Verstappen stiving off Hamilton, then ceding the lead, then conclusively taking it back for a heroic drive. This denied Lewis the opportunity of finishing off the championship early. Flash forward and Vettel is pressuring Bottas into a mistake, the two fighting for P4. The Mercedes pilot eventually runs wide and opens the door for Vettel, which the latter takes advantage of and moves just outside of the podium. The F1 schedule now hops to Mexico City where Hamilton will have another chance at claiming the title. Max Verstappen is the reigning winner of the race, and last year, both Hamilton and Vettel missed the podium, relinquishing their spots in the top three to their teammates as Bottas finished P2 and Raikkonen came in third. Ferrari's Sebastian Vettel was only 0.006 seconds off Hamilton's pace but will start fifth due to a grid penalty. Both teams saw their United States Grand Prix qualifying lap times increase by over two-tenths of a second on Saturday. Can't spend thousands on a Paddock Club pass? Here's what you're missing. With ideal conditions, Hamilton is now potentially one win away from clinching his fifth World Drivers’ Championship.